We still have 8 boxes of 2015 Panini Clear Vision Football ($60 per 6-pack box) available for Monday morning, first come first serve. 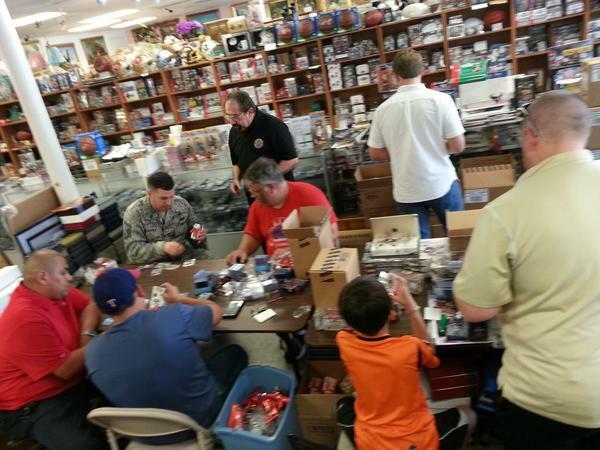 And while you're here take advantage of THE LOWEST PRICES in The Galaxy (all of Texas) everyday at Sports Cards Plus. We are constantly looking for GREAT BUYS to pass the savings to you. High End, Economical Fun-to-Open, New Hot Products or Hard-to-Find All-Time Favorites. We have it all. 1. They love the $60 price point. 2. They love the clear vision acetate technology. 3. They love the very limited rookie autograph selection (only ten of the top rookie candidates). 4. 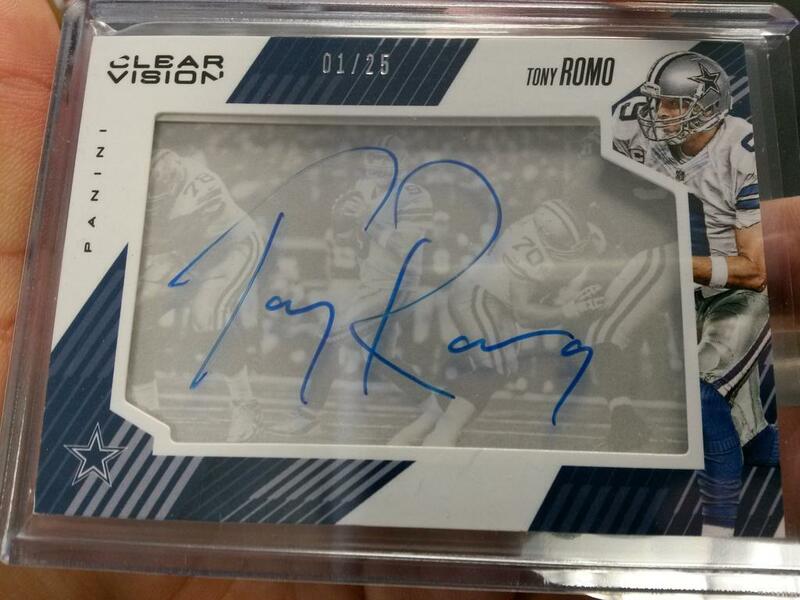 They love the low numbered (50 or less) veteran & legend auto selection of the biggest stars to play the game. 5. They loved the numbered parallels like this 1/1 Packers Team card. 6. Everyone loved the Jersey Patch cards, especially the Autographed Jersey Patches. And, what about the common singles? We don't have any common singles to show you because everyone wanted to keep every card they pulled. You might say, because the acetate cards all look so great, there are no commons. Every card is a keeper. Wayne drove from Mabank Texas to pick his box of 2009 Upper Deck Signature Stars Baseball ($54.95 per box) from The BEST CASES in The Hobby. 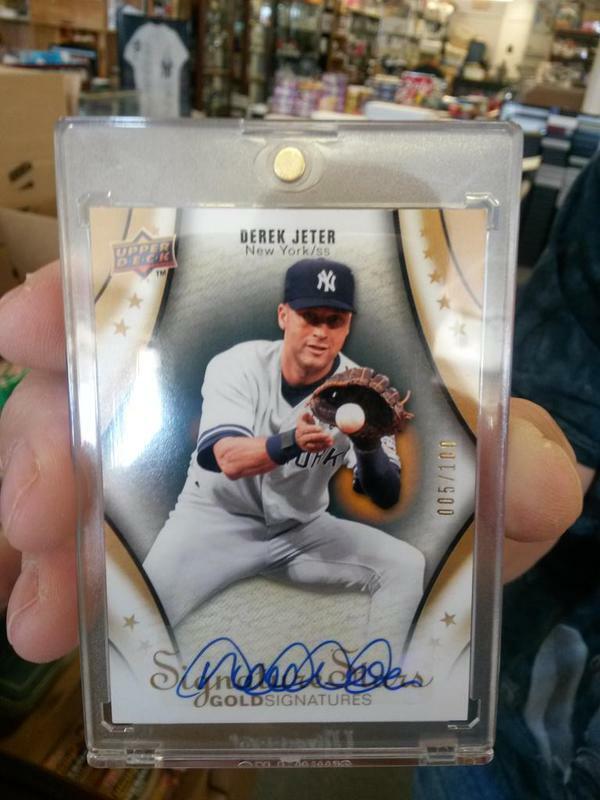 Wayne was hoping for a Bryce Harper Team USA Autographed RC but pulled this Derek Jeter Autograph #d/100 instead. Wayne left the Bryce Harper Auto for you to pull. We still have about 100 boxes of 2009 Signature Stars waiting for you to pull your Super Hit. Cameron heard of The Legend of The Super Hit Factory from his home in Arkansas. Cameron had his parents drive him from Arkansas so he could pick his box of 2015 Diamond Kings Baseball from The BEST CASES in The Hobby at The LOWEST Price in The Galaxy. Here is Cameron with his Rickey Henderson Auto Jersey Bat card #d/10. 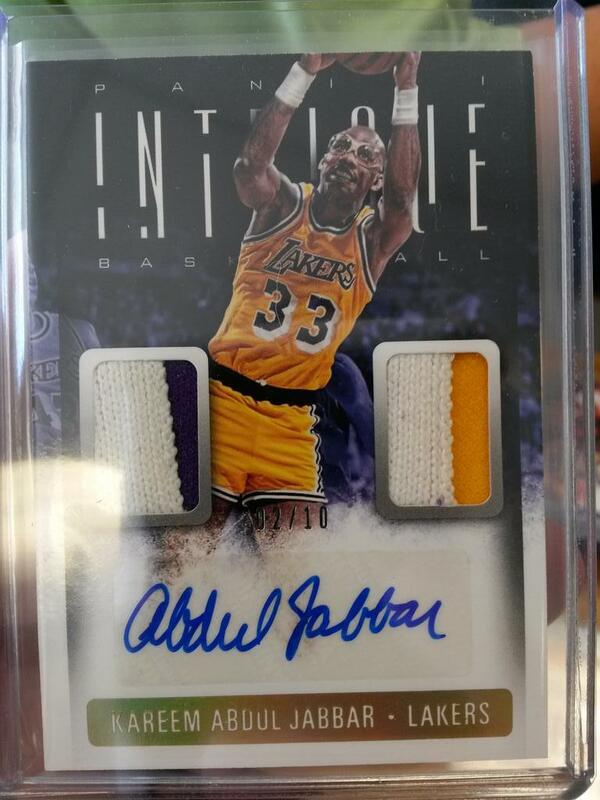 Tommy tried a box of 2013-14 Intrigue Basketball ($79.95 per box) and pulled this Kareem Abdul Jabbar Auto Dual Jersey Patch 2/10. 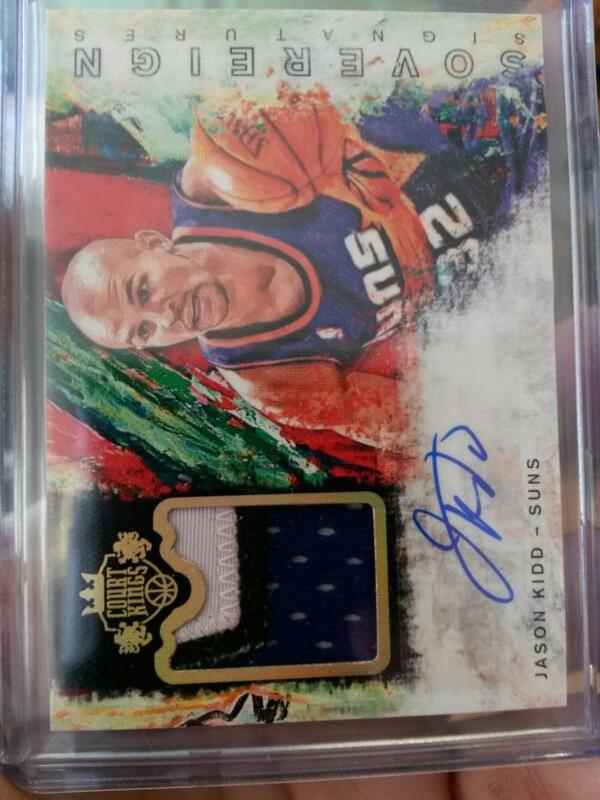 Next Tommy tried a box of 2014-15 Court Kings Basketball ($59.95 per box) and pulled a Jason Kidd Auto Patch #d/10. 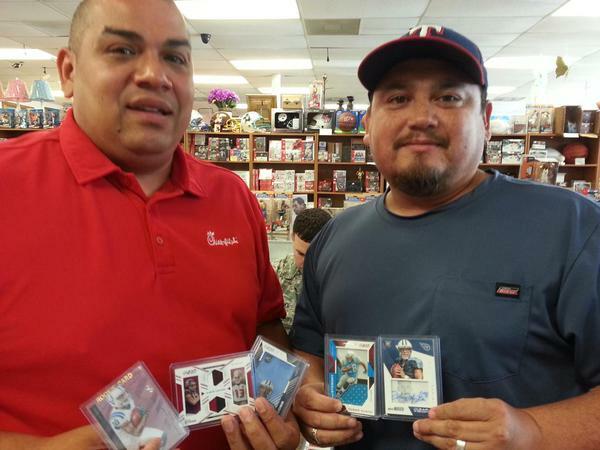 Be like Tommy and go to Sports Cards Plus TODAY and Pull your Super Hit. 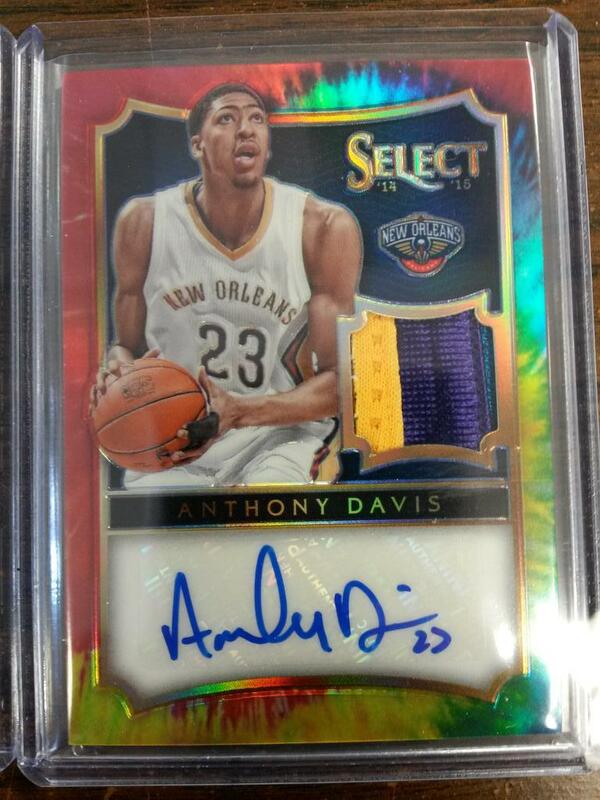 Mr. K (under The Witness Protection Program) came in and tried one pack of 2014-15 Select Basketball and pulled this Anthony Davis 2014-15 Select Tie Dye Autographed Jersey Patch #d/25. Next he decided a box of 2013 Topps Supreme Baseball ASIA Edition ($49.95 per box) was calling his name. 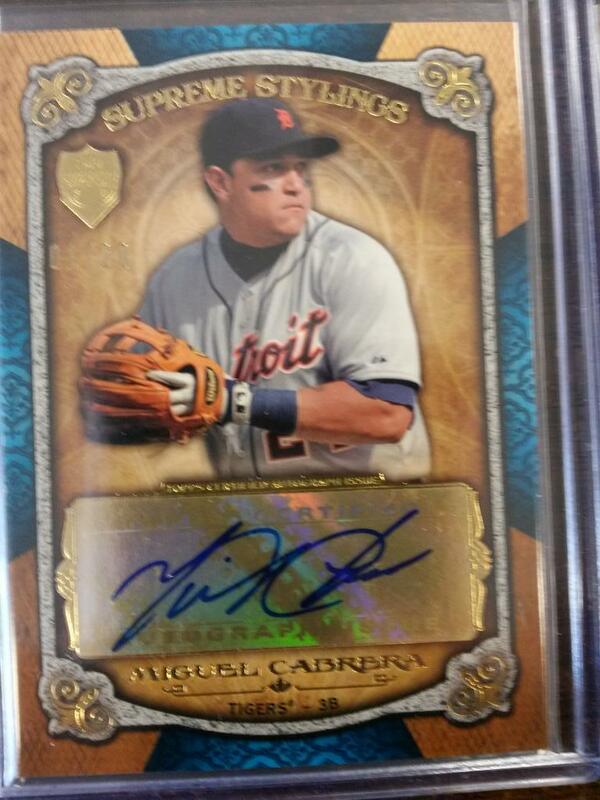 Here is his Miguel Cabrera Autograph #1/20. 2015 Leaf Trinity is BACK in stock. 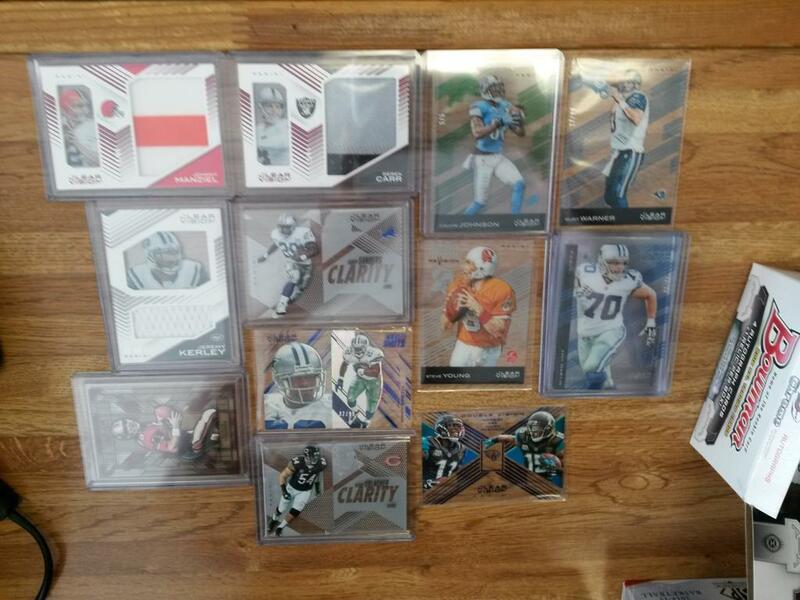 Last case delivered this Marcus Mariota Auto Jersey Patch 1/25, a second Mariota Auto Jersey Patch, a Jameis Winston Autographed Inscription 1/25 and tons of other great hits. What will you pull from this NEW CASE?